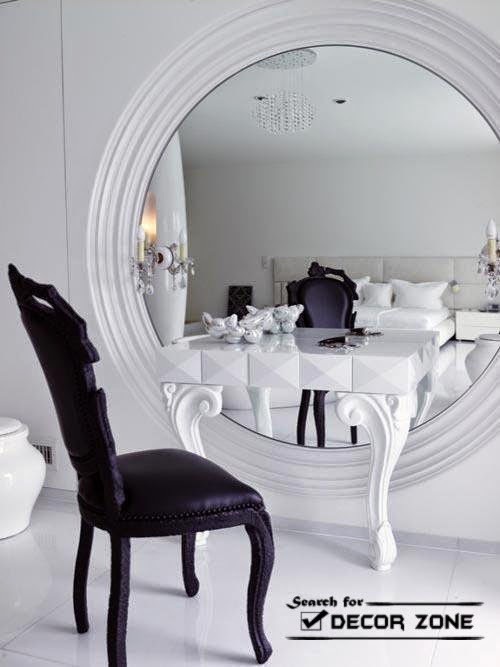 Mirrored dressing table - perhaps the most important place for a girl, because most of us are willing to sit at the mirror for hours, applying makeup and trying a variety of jewelry. 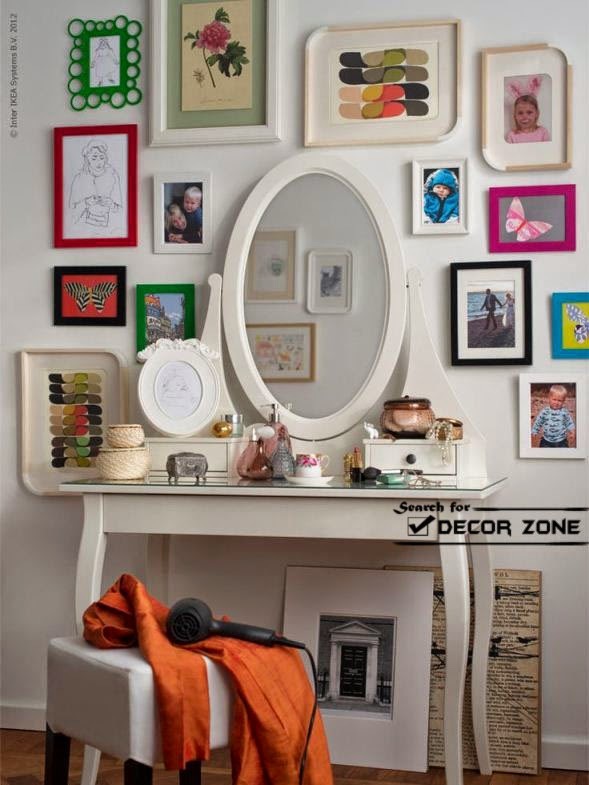 That is why we have prepared for you a selection of inspiring mirrored dressing table designs for all tastes. 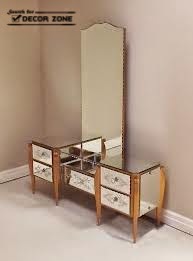 Dressing table should be functional. 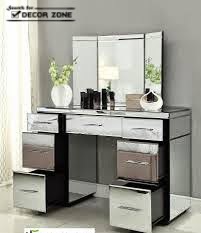 In addition to the mandatory large mirror there certainly must be a sufficient number of drawers, baskets, boxes, and other devices for storing cosmetics and jewelry. Think about what exactly you need the organizers - it will prevent the room from eternal chaos and disorder. 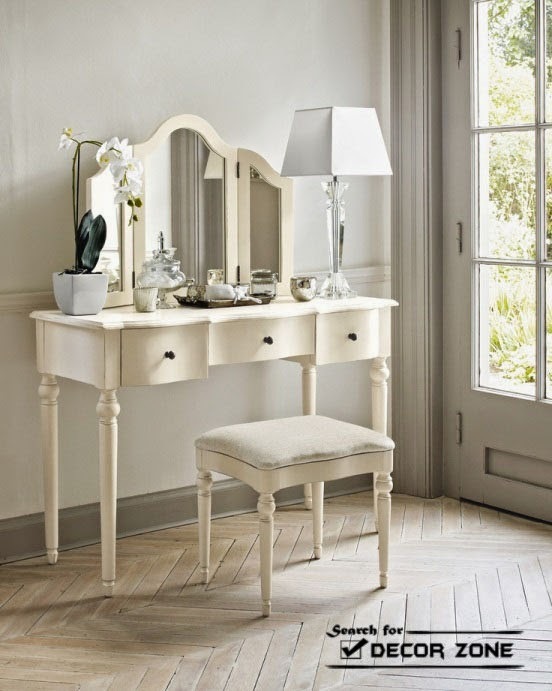 Instead, you can use a pouf chair, but always with a soft seat: comfortably sit on a wooden stool, you are unlikely to succeed. Especially important to consider reliable lighting, without which it is impossible to simply apply the perfect makeup. 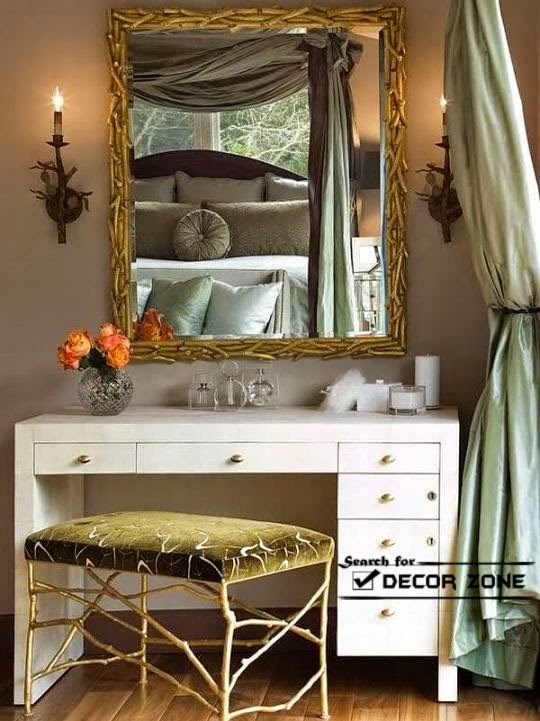 Better if the light sources to be attached to a wall or mirror, because on the surface of the dressing is usually without too much space. 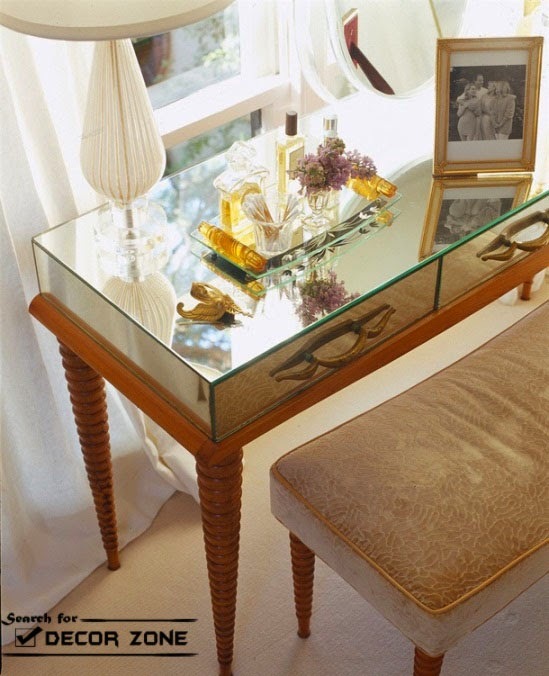 If possible, put the mirrored dressing table near the window - there's nothing better than natural light. 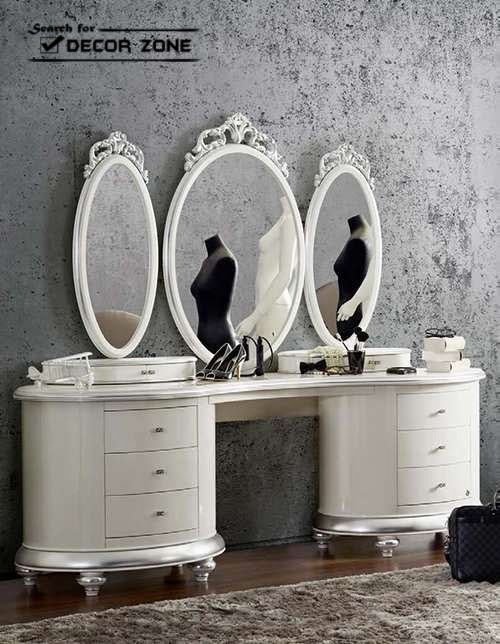 the mirrored dressing table must necessarily reflect the inner world of it's lady. 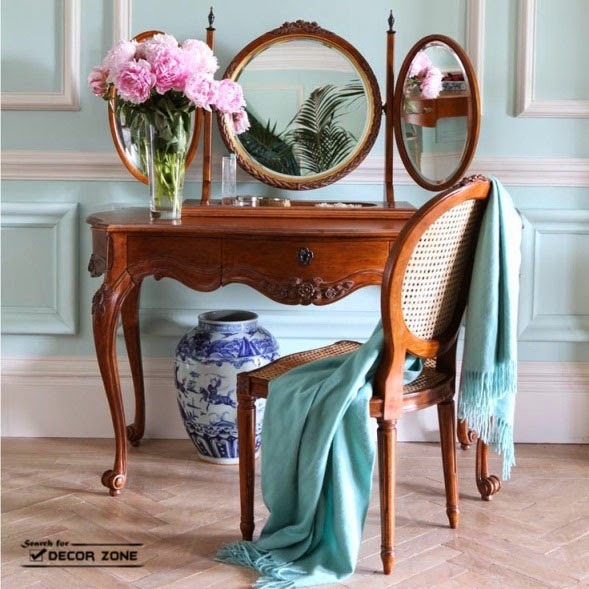 You can choose the style of retro classics, Shabby-chic or give preference to contemporary satin finish metal and glass. 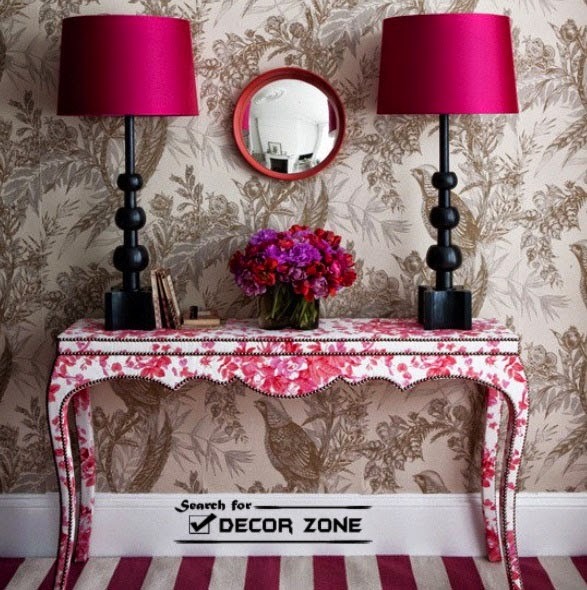 women area should remain gentle, elegant and romantic.